As you can tell from the picture, this sweater features a V-neck collar and knit waist and cuffs like most others do. It sports a bright pink color and there is the usual Abercrombie black moose logo on the left chest. 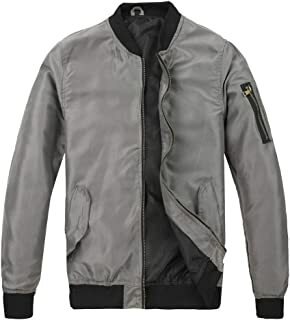 The sweater is made of high quality material and not something you would usually find at low end outlet stores. Pink used to be my least favorite color, but after this experience I completely changed my view toward pink! 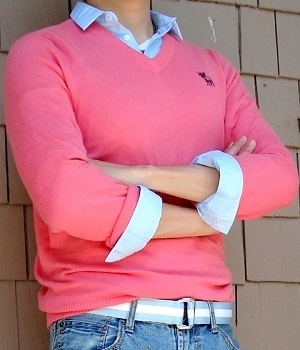 This pink V-neck sweater from Abercrombie & Fitch is so bright that it drew my attention right away. It is this kind of characteristic that helped me forgo my prejudice and become more open-minded about the whole spectrum of colors. I began to think about the colors that would go with pink and there are A LOT. I made the decision to give it a try. Turned out, it didn't look at all. Read on to see how I made it part of a stylish outfit. 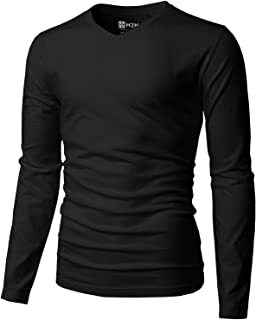 Here is the secret technique that helped improve my personal experience with this pink sweater. I wore a long sleeve shirt underneath and rolled up the shirt's cuffs above the sweater's. Of course, I also undid the top buttons of my shirt in order to spread out my shirt collar over the sweater's. 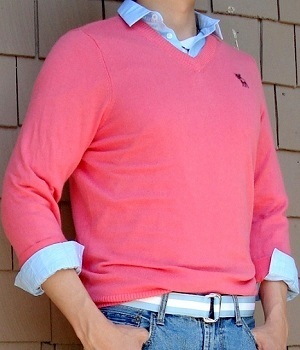 The key is to contrast pink with other matching colors via the shirt, the belt, and the bottoms. I find blue, yellow, chocolate brown, purple, white, black work BEST for the shirt's color. With a pair of sky blue jeans the sweater becomes part of a fashionable outfit! Pink used to be my least favorite color, after this experience pink began to grow on me! This sweater is made of 94% cotton, 3% wool, 3% cashmere. The material combination just makes it so soft and comfortable. BUY this pink sweater NOW b4 they run out!